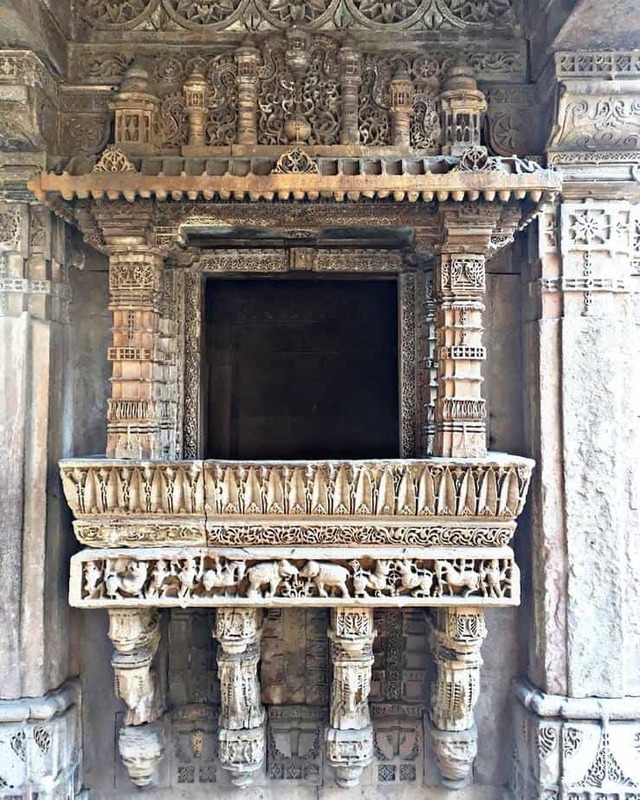 One of the most popular heritage of Ahmedabad is ‘Adalaj Ni Vav’. 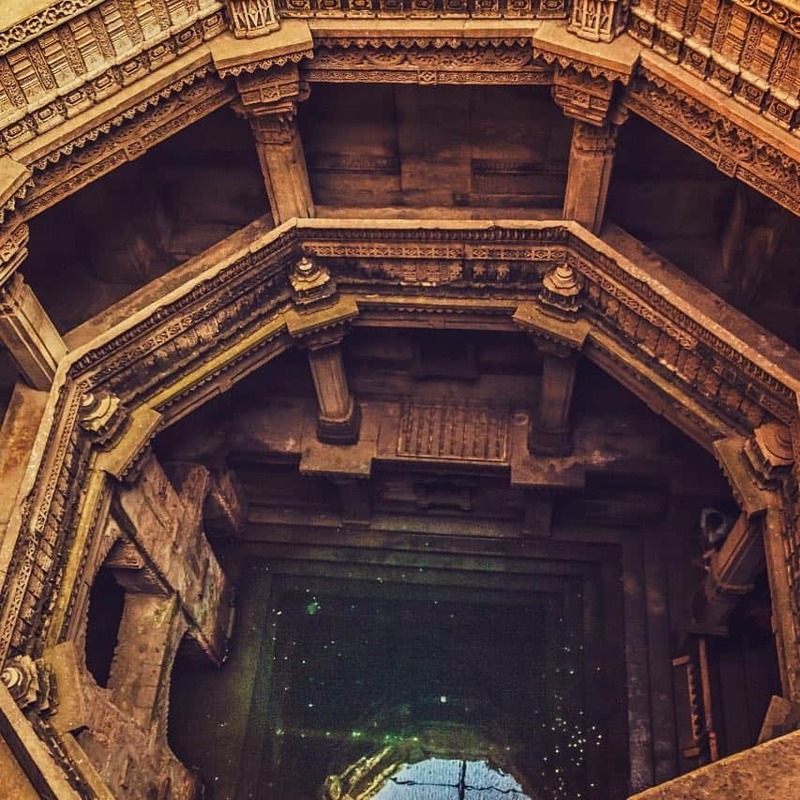 The word Vav is a Gujarati term for stepwell. 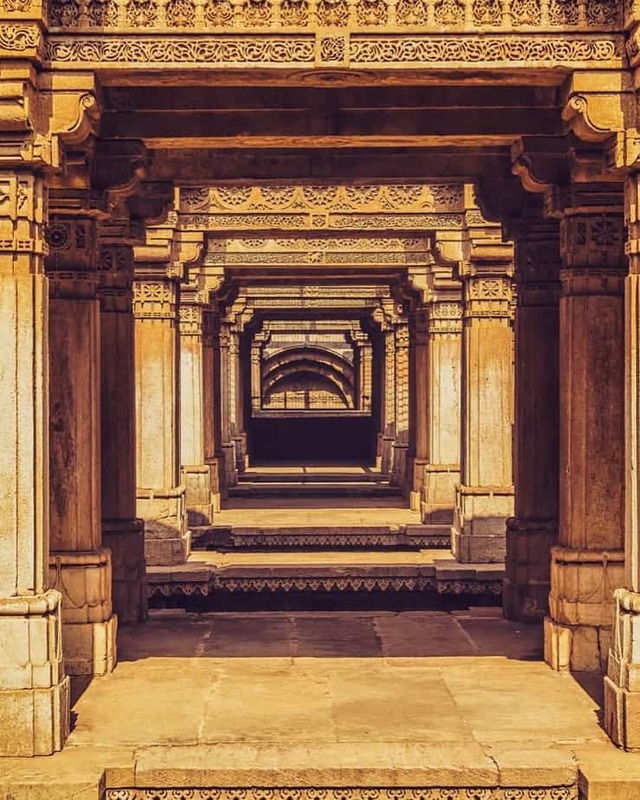 Nowadays Adalaj stepwell is widely popular for photo walks. Not only among the Amdavadis but this beautiful heritage of Ahmedabad has attracted foreign tourists too. The five stories deep were built in the 14th century by Rana Veer Singh for a social purpose. It provided drinking water to the people and travellers, the step well brought relief to the people living in the dry region who had to walk miles for water. More than 400 years old Adalaj step well showcases how skilled our ancient artisans and sculptors were. 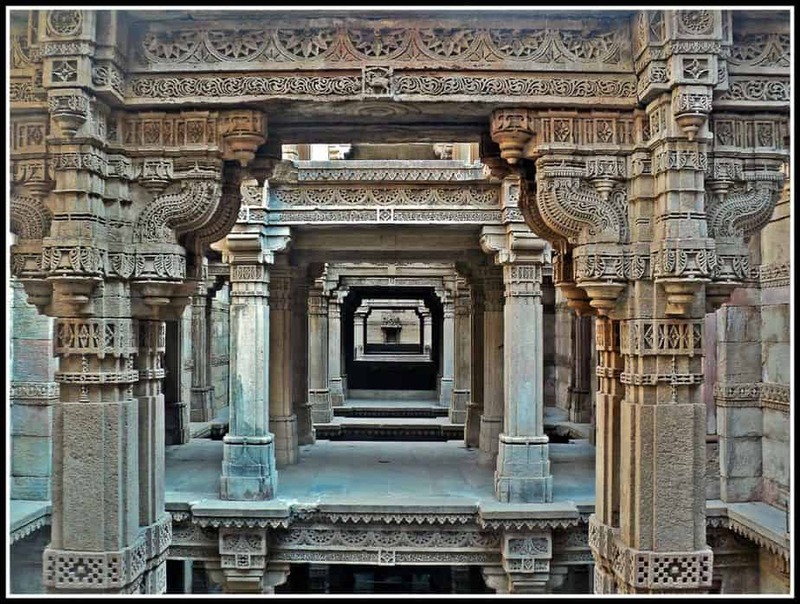 Adalaj ni Vav is an example of immense beauty, the more than 400-year-old 15th-century sculpturing. But building this Vav was not easy, the construction of Adalaj ki Vav depicts the story of love, sacrifice and war. With Ahmedabad getting the tag of India’s first World’s heritage city by UNESCO the prosperity of Adalaj ni vav has manifold. Adalaj ni Vav which holds a part in making Ahmedabad a heritage city. This well was constructed in 1499 in the supervision of Rana Veer Singh. The purpose to built this magnificent well to provide ease to people of his kingdom from water shortage in the dry region. Before the construction could be finished, Rana Veer Singh was attached by Mohammed Begda, the Muslim ruler of a neighbouring kingdom. The king was killed his territory was occupied by Begada. Rana Veer Singh’s widow, a beautiful lady known as Rani Roopba (or Roodabai), wished to perform Sati but she vowed to complete what her husband had started. Begada who was enchanted with the beauty of Rani Roopa proposed her for marriage. She agreed to a marriage proposal on the condition that he would first complete the building of the stepwell. The Muslim king was deeply in love with the queen now and so he agreed to the Roodabai’s condition. The step well got completed with Begada supervision now and after that, he went to the widowed queen again with the marriage proposal. The queen who had achieved her objective of completing her husband’s vision chose to end her life. She performed praying and ended her life by jumping into the well. 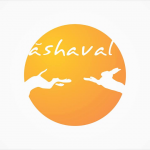 This was the story of Adalj ni Vav with the sacrifice of Roodabai. This magnificent Adalaj ni vav has remained a pride ever since. 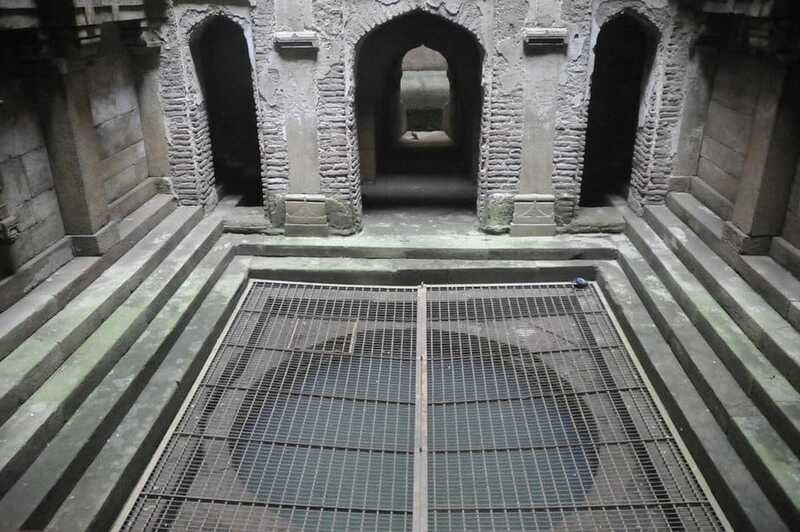 The construction of Adalaj’s step- well first begun by Rana Veer Singh and later finished by Bagad Mughal emperor. Due to the provision of two different rulers, Adalaj ni Vav depicts Indo-Islamic architecture. 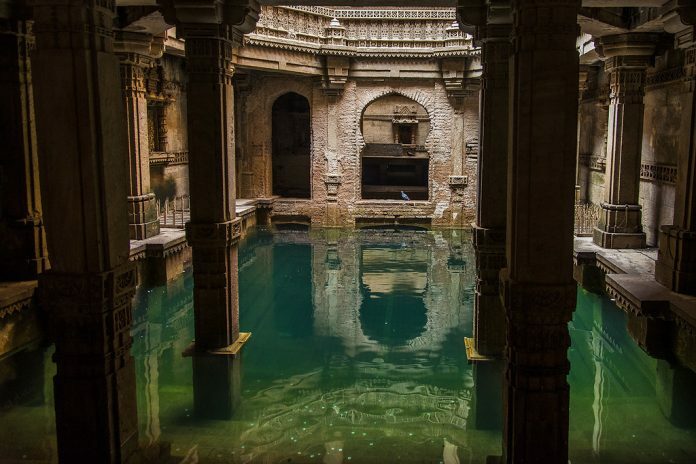 The Adalaj stepwell is five stories deep, The underground platform is square in shape and is quite huge. Its ceiling contains huge openings thus making way for good ventilation for the octagonal well. The octagon shape is clearly seen when you look at top of well while being inside. The five stories step-well was built during the region of droughts so It was dug deep to access groundwater at that level. The most unique feature of this well is three staircases leads to the bottom water level. You will find lovely oriel windows decorated with minutely carved brackets are at the landing level of the well. Adalaj exhibits Islamic architecture as well as Hindu architecture. The carvings on the wall have both Islamic motifs of flowers and gods of Hindu it blends the heritage of two religion. There many beautiful carvings on the walls like a woman performing daily chores such as churning of buttermilk, adorning themselves, scenes of a performance of dancers and musicians, and the King overlooking all these activities. The Queen Rudabai who was responsible for the completion of Adalaj ni Vav is praised in few verses inscribed on the stepwell. We can even see the inscriptions regarding the expense done to build the vav. The overall expense was 5 lakhs to build Adalaj Stepwell during the 15th century. The Vav stands as a structure of craftsmanship and innovation that one can only ace at. 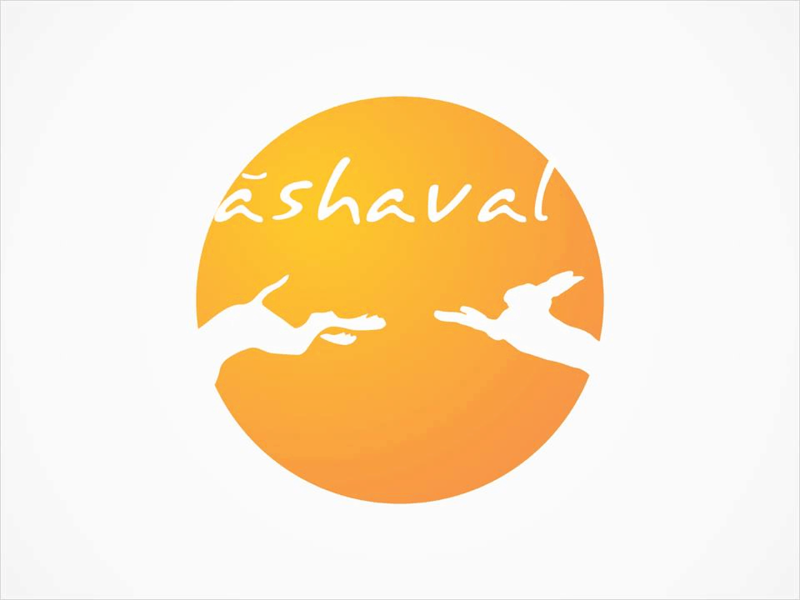 Adalaj ni Vav can be visited anytime between 6 am in the morning till 6 pm in the evening and there is no entry fees for visiting the stepwell. The environment inside the well is very pleasant and soothing. The temperature is said five degrees lower than the outside hot temperatures. Due to which it was a perfect resting place in ancient times. it encouraged the women who came to fetch water to spend more time in the cool climes here. People who came in to fill water or to quench their thirst would eventually interact and socialize and sometimes even do the trade. So you 21st-century people have no reason to boast about the advent of social networking – the wise Yodas of the past have already done that. The magnificent light play of architecture makes it the best place for photography. The best time to feel the astonishing interplay of lights is when the sun has risen. Dawn gives you the chance to capture the splendid beauty of the stepwell from under the ground. 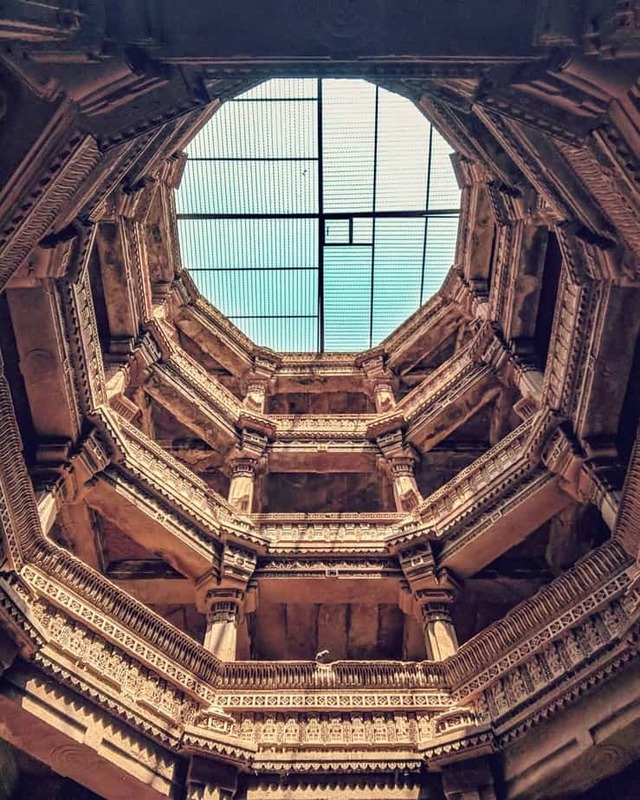 Get yourself clicked at the remarkable Adalaj ni vav. Don’t miss the opportunity to visit this stunning architecture and feel the essence of pure and gentle weather there. How far it’s from the city how do I go adalaj village ?